Once the seller has accepted your offer on a property, the agent or your property finder will contact the Notaire to arrange for the first contract to be drawn up. Notaires are public officers in France, appointed by the Minister of Justice and, as such they are invested with a delegation of public power. The use of a Notaire is required to conclude a marriage contract, conduct real estate sales (due to the Land Registry), make a will, etc. The rules of ethics applicable to the Notaire mean they can act alone to represent two parties in a single act, such as the seller and the buyer of a property. 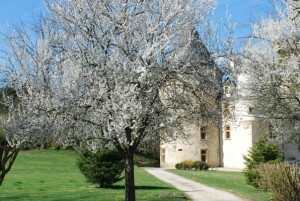 However, either party may request their own Notaire, without increasing the cost of the operation: in fact, the notarial fee is essentially based on the act, so that if two Notaires are involved in the implementation of a sale or a mortgage loan, the fee is the same as if there had been one Notaire and will simply be divided between them. However, more often than not the seller and buyer will use the same Notaire for speed and ease. There is a seven-day cooling-off period after first contract stage, the signing of the Compromis. This starts on the day following signature of the contract if this is carried out in the presence of the Notaire in France. If you are signing by power of attorney then the seven-day cooling off period starts the day after you sign for the recorded delivery containing the contract. At any point during the seven-day cooling off period you are able to withdraw from the purchase without providing a reason and your deposit must be returned within 21 days of the date of the withdrawal. The vendor does not benefit from a cooling-off period. The deposit can be up to 10% of the purchase price and should be paid direct to the Notaire. General surveys are not common in France. The property is purchased in the condition that it is in on the date of completion. If the buyer requires a survey then this should be carried out before the end of the cooling-off period. With the agreement of the vendor, it is possible to include a survey as a Condition Suspensive but this needs to be worded carefully in order to ensure that the buyer is protected if the results are unsatisfactory. A general clause, subject to survey, would not be sufficient. This follows the seven-day cooling off period and usually takes around three months. During this time the Notaire and his staff will carry out the various checks and searches and inform the necessary bodies of the potential sale. During this period mortgages are also usually completed and issued. The buyers’ responsibility at this stage is to provide the Notaire with any outstanding paperwork, such as birth and marriage certificates. It is also the buyers’ responsibility to ensure the final balance is deposited in the Notaire’s account in time for the final Acte de Vente. The sellers’ responsibility at this stage is to provide the Notaire with any outstanding paperwork, such as guarantees for any work on the property by registered artisans, as well as any invoices they may have that can be used against their capital gain – where applicable. The final stage is the signing of the Acte Authenique or Acte de Vente. Funds need to be transferred to the Notaire’s account by the time of the signing and so it is advisable to arrange for this to occur allowing some leeway. The seller should visit the property before the final signing. The Acte Authenique is carried out by the Notaire with all parties present – unless a power of attorney has previously been established. The Acte Authenique contains all of the information present in the Compromis de Vente as well as mention of all the notarial checks that have been carried out. If the property is mortgaged then the mortgage will be paid off from the funds by the Notaire and the balance returned to the seller. If the buyer is purchasing with a mortgage, then this too is administered by the Notaire and will incur a further fee – calculated by the Notaire at the time of the Compromis de Vente. Declarations will be made to the tax authorities by the Notaire. Possession generally takes place immediately following the signature of the Authentique. If there is any delay with the seller’s moving, then there will be a clause in the Acte Authenique with a specified moving date and a daily penalty clause (clause d’astreinte) in order to ensure this date is adhered to. Agency fees in France vary depending on the value of the property, but are generally around 6% and should be included within the advertised price – frais d’agence compris (FAI) but this is not always the case. These are around 6.5% of the purchase price but are not included in the advertised price. These are in addition to the advertised price. This is payable by the vendor on any property that is under construction or that is less than five years old.